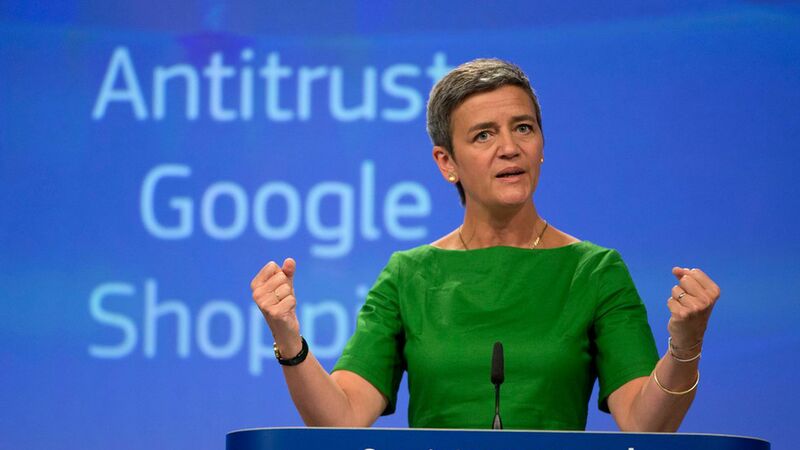 Margrethe Vestager, Europe's chief competition regulator who brought an antitrust case against Google this year, told Recode's Kara Swisher that the European Commission is continuing its focus on preventing tech giants from squashing competition from startups. She also said on the podcast that she's concerned about the lack of transparency around the algorithms used by these companies. Across the pond: U.S. lawmakers also questioned the larger societal impact of Big Tech's use of algorithms and big data on Wednesday, and FCC Chairman Ajit Pai questioned whether social media is a net benefit to society. Key quote: "We have to take our democracy back. We cannot leave it to Facebook or Snapchat or anyone else. We have to take democracy back and renew it. Society is about people and not about technology." She added: "We want a free market, but we know that the paradox of a 'free' market is that sometimes you have to intervene."